NewSpring Network exists to serve, equip, and connect church leaders to help expand the Kingdom. The vision for NewSpring Network comes from the Great Commission. We want to equip and empower you to chase the vision God has given your church. In doing so, the Church will make disciples of all nations, baptizing them and teaching them to observe all that Jesus commanded. 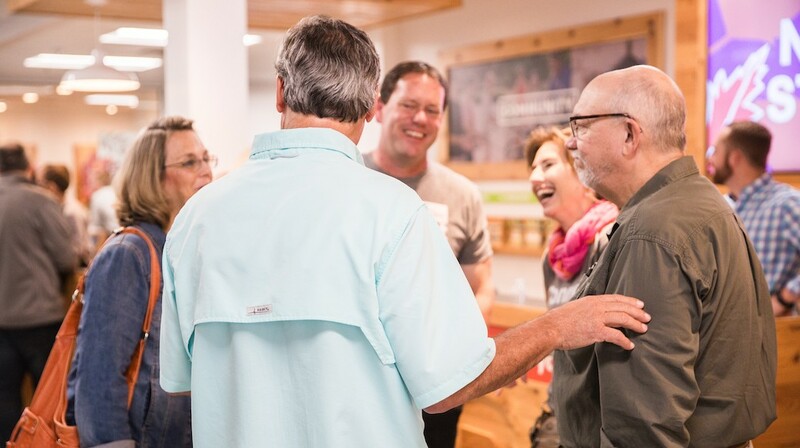 NewSpring Church exists to connect people to Jesus and each other. We believe in trusting God’s promises, pursuing uncommon unity, making bold moves, having a kingdom mentality, and showing visible love. NewSpring held its first church service on Jan.16, 2000 in the Sullivan Building at Anderson University. A year later, we moved to the Rainey Fine Arts Center, a large auditorium on the university campus. As the church grew, we purchased land in Anderson to build a permanent home. What began as a Bible study in a living room with 15 people has become one church in many locations. In 2006, we moved into the Anderson Campus. Just two years later, in July 2008, NewSpring went multi-site with the opening of a Greenville Campus. Today, we broadcast services from Anderson to several campuses across South Carolina. We love connecting with other churches and ministries. We're happy to share anything we've learned along the way, and we'd love to hear what God is showing you.